John Nothdurft and Donny Kendal present episode #94 of the In The Tank Podcast. This weekly podcast features (as always) interviews, debates, and roundtable discussions that explore the work of think tanks across the country. The show is available for download as part of the Heartland Daily Podcast every Friday. Today’s podcast features work from the Yankee Institute for Public Policy, the Illinois Policy Institute, and the Buckeye Institute. Today, John and Donny invite to the show Joe Horvath – Director of Legislative Outreach at the Yankee Institute for Public Policy. Horvath joins the show to talk a bit about the Yankee Institute and their role in the state of Connecticut. They talk about the economic troubles Connecticut faces and how free markets solutions can solve the problems. This week’s Policybot featured work of the week comes from the Illinois Policy Institute. The report, titled “Budget Solutions 2018: Balancing the state budget without tax hikes,” shows how the massive fiscal issues in Illinois can be solved if we undergo major structural reforms. These reforms include changes to the public pension systems, medicaid and higher education to name a few. To support the idea that pension reform is possible, Donny and John bring up two recent successes on this front. The Mackinac Center praised recently passed legislation that “puts Michigan’s public education system back on the road to fiscal stability.” The second comes to us from the Commonwealth Foundation where they celebrated a recent overhaul of their public pension system in Pennsylvania. 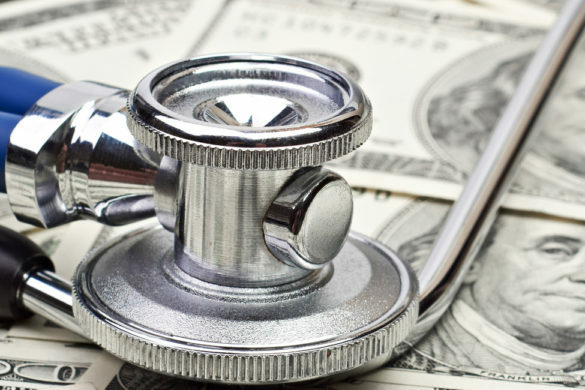 Next, Donny and John talk about an article produced by the Buckeye Institute titled “States need freedom to improve health for Medicaid recipients.” The article dismisses the idea that states can help their citizens by simply expanding medicaid. Instead of waiting for the federal government to make changes, the states should take the lead. In the last segment, Donny asks for John’s opinion on a new law in Colorado which would ease texting-while-driving laws.